A more refined channel in the sole of the Titleist 917 D3 driver helps reduce spin for added ball speed. SPECS: 8.5°, 9.5° and 10.5° with Fujikura Speeder PRO TS, Aldila Rogue Max and Mitsubishi Diamana Ltd. White and Ltd. Blue graphite shafts. RECOMMENDATION: Targets low- to mid-handicappers who desire mid-launch workability. KEY TECHNOLOGIES: Interchangeable weights that can position the CG anywhere from the back heel to the forward toe to fine-tune spin and launch; a more refined channel in the sole that reduces spin and improves ball speed; a thinner face perimeter to ensure speed on off-center strikes. Sterner and tighter-steering than the D2, the D3 packs all the same technology into a smaller, more workable clubhead better suited for stronger players. The 440cc head also starts with a neutral bias and a lower-spin DNA. But using Titleist's SureFit system, that's just the beginning: 16 hosel settings make basic adjustments a snap, while the moveable CG lets low-handicappers fine-tune shot shape and spin profile. 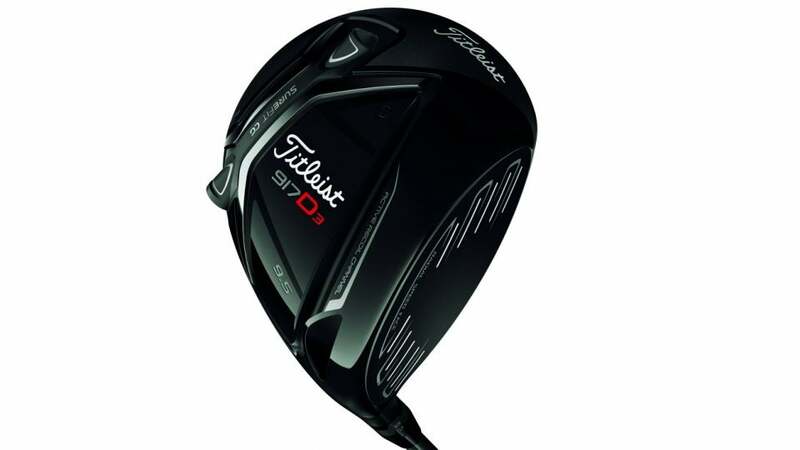 It all comes together in an elegant package perfectly suited for Titleist fans and traditionalists alike. "Classic, traditional aesthetics similar to the 917 D2 but in a more compact package. Quicker off the face than the 915, with a great degree of spin control. Players who demand workability, spin control and aesthetics/feel will be pleased. The mid-launch profile should suit low- to mid-handicaps."